Imagine Being Part Of The Inaugural Ukrainian Art Song Summer Institute From August 7-13, 2017 At The The Royal Conservatory’s TELUS Centre For Performance And Learning In Toronto. The Ukrainian Art Song Summer Institute will provide an intensive immersion into Ukrainian art songs – the language, poetic realm, musical style, socio-historical context and performance practice – culminating in a final recital for the public. 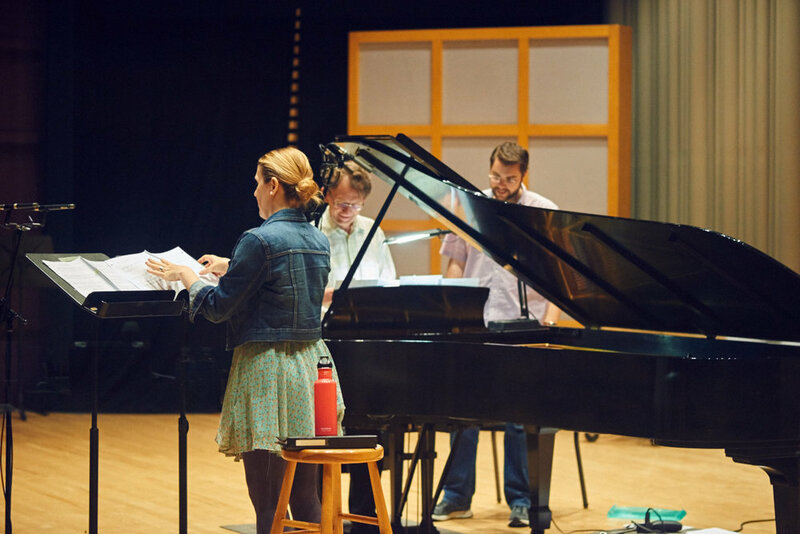 Students will leave this intensive one-week program of master classes, with rich insight into repertoire, style, diction, and poetry, and with the invaluable confidence to perform these songs in future. The renowned Royal Conservatory of Music in Toronto is pleased to partner with Ukrainian Art Song in offering this musically rich program to emerging artists. This historic conservatory full of rich musical tradition will serve as the venue for this inaugural Summer Institute. Students will be presented with a book of the scores of all 32 Ukrainian art songs that will be rehearsed throughout the week and performed at the open concert. Each student is required to start the program, having learned four assigned art songs from memory. Throughout the course of the week, Pavlo Hunka, together with Albert Krywoltand Robert Kortgaard (accompanists) and Dr. Melanie Turgeon (ensemble conductor), will create and choreograph a dramatic performance that will stir every member of the audience. Students will return home with a clear understanding of how to express a song, no matter what form, no matter what language. Performing an art song entails the engagement of six elements: the voice, the notes, the words … and then, the heart, the body and the soul. These last three elements are the secret to a fully committed performance, but are all too often missing from the concert stage. Pavlo and company will encourage students to commit totally to each song, always remembering that whether opera, oratorio or simple song, the same techniques are employed. After working intensely during the week-long Institute, each student will perform four songs during the final concert.